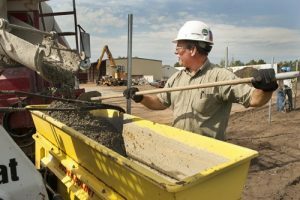 An extension on the Auger Bucket allows it to hold a lot more concrete. 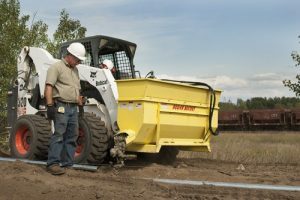 The Auger Bucket doesn’t make a mess when it goes into the hole. 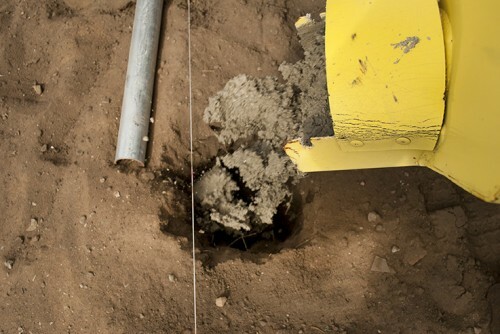 It’s very precise. 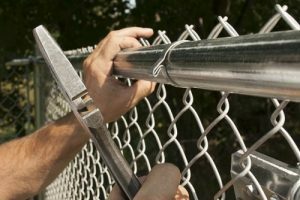 A Self-Locking Fabric Band is ideal in high traffic areas such as residential, educational and recreational areas. Secure the Self-Locking Fabric Band with the flat side of the fence tie. 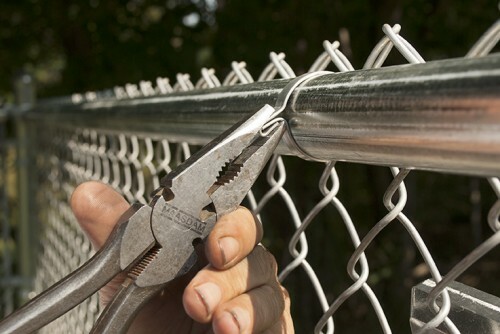 To install a Self-Locking Fabric Band, pinch the ends together with fence pliers and bend down. 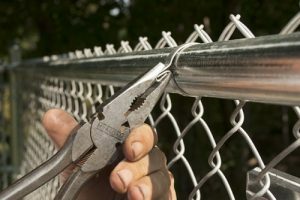 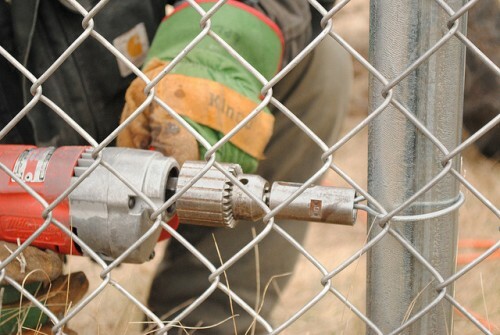 Crew member attaches chain link fabric to a fence post with an Easy Twist Tie. 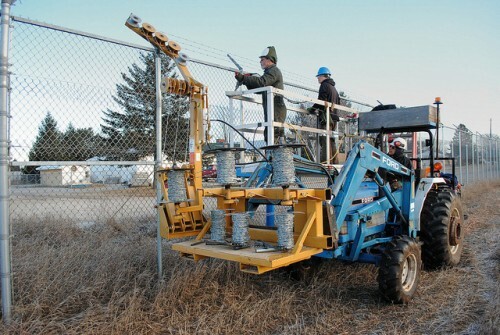 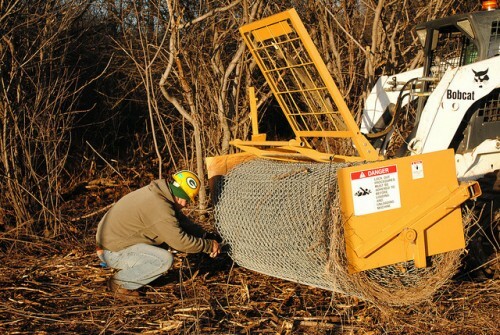 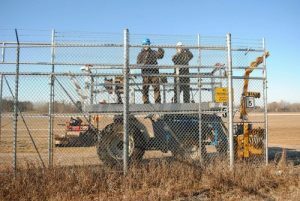 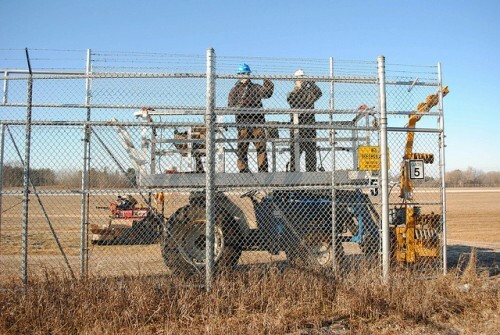 A tractor is used to operate the barbed Wire Dispenser. 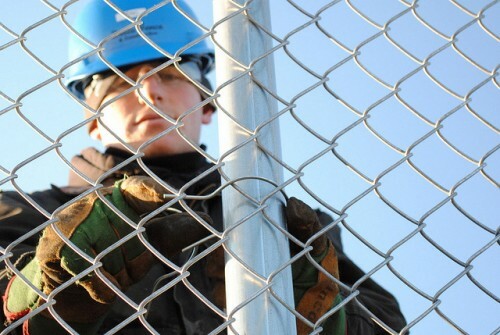 A crew member hooks the barbed wire in a barb arm. Two crew members on scaffolding tie the fabric on top and install the barbed wire while tow others tie the lower portion of the fabric. 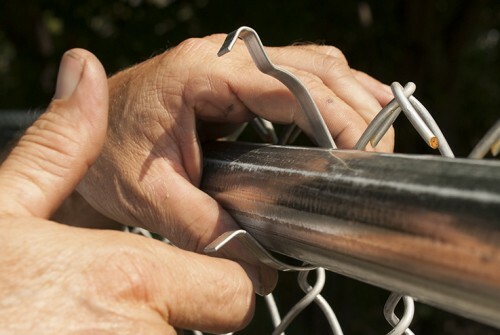 A finished roll of used fabric is hog ringed to keep it from unraveling. 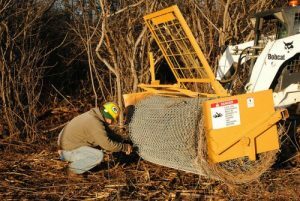 The Rapid Roller from L&C Enterprises-USA rolls the used fabric into rolls that are neat enough to be reused. 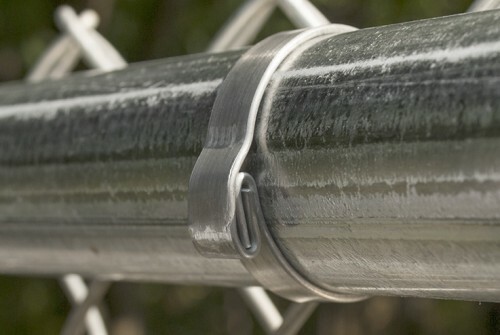 A crew member places Easy Twist Ties around a post. 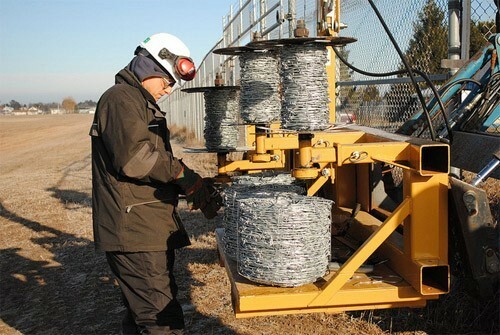 The Barbed Wire Dispenser dispenses three strands of barbed wire. 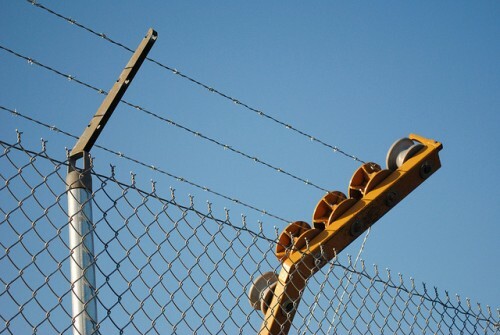 The Barbed Wire Dispenser dispenses up to three strands of barbed wire. 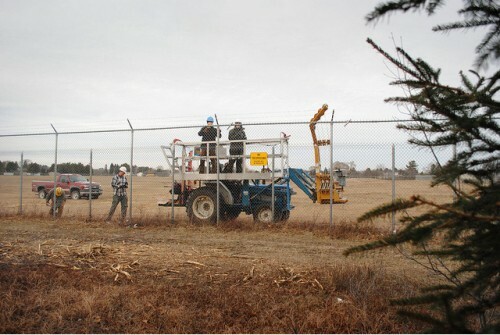 Crew members attach fabric to the fence at the gate entrance. 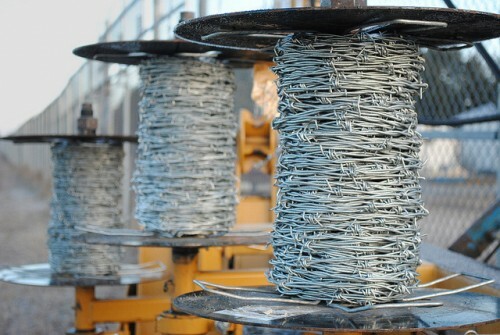 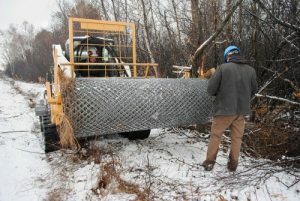 New rolls of barbed wire are transported on the Barbed Wire Dispenser until they are needed.